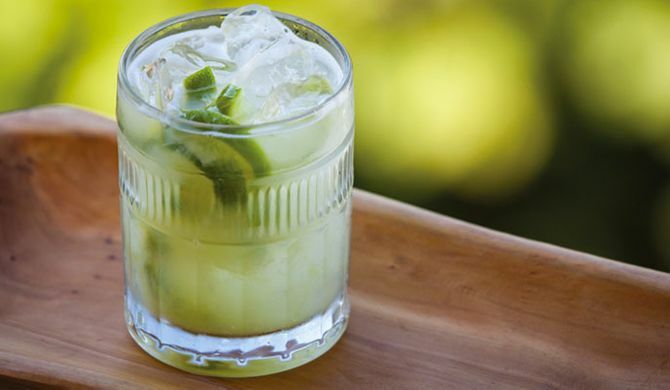 Ah, Brazil: the home of the Caipirinha and Gisele Bündchen, among many others greats. We have a lot to thank the South American nation for and over the next two weeks its capital Rio De Janerio will play host to the world’s most talented sportswomen and men. While your Olympic dreams may have died a death aged 12, you can still get into the spirit, quite literally, from the comfort of your own home. Otherwise known as the national cocktail of Brazil. It’s a mixture of cachaça, sugar and lime and it makes for a refreshing relief when those sporting moments get too intense. Get the recipe here. This winning combination of cachaça, passion fruit purée and a whole load of chipped ice will ensure you keep your cool during those (hopefully) balmy summer days. Get the recipe here. When life gives you lemons, make lemonade - Beyoncé told you so. And with the spotlight firmly focused on Rio, there's no better time to give it a go. Your non-drinking guests will thank you for it. Get the recipe here. This South-American take on the classic Tequila Sunrise replaces the Mexican spirit with the rum of Brazil - cachaça - and is guaranteed to warm your soul when the Great British Summertime strikes. Get the recipe here. Cultures collide in a glass as Spain meets Brazil thanks to the combination of Sangria and Caipirinha in this sweet treat. Get the recipe here. Nothing says Brazilian summer quite like an ice-cold glass of white rum and pineapple, muddled with generous amounts of fresh mint. Get the recipe here. It doesn't get much more #summer than the Internet's favourite fruit mixed with the spirit of the season. Plus, it gives you yet another opportunity to use the watermelon Emoji. Get the recipe here. Add a shot of rose syrup to the classic drink and you've got yourself a guaranteed Instagram hit. Get the recipe here. The Spanish signature gets a potent update with the addition of Lucid Absinthe - the lethal spirit boasts an alcohol percentage of 62% (wow) which is warning enough to not overindulge. But if you're feeling brave, the many bits of fruit should go some way to lining your stomach. Get the recipe here. If this doesn't mentally transport you to a sun-drenched Rio beach, we don't know what will. Plus, if you've tried your hand at the classic version, you'll have all the ingredients you need. Just add ice. Get the recipe here. They don't call this the King Cocktail for no reason. It contains a healthy amount of tequila and even counts as one of your five a day as half an avo is one of the ingredients. Get the recipe here. Go nuts for this Brazilian creation which is otherwise known as 'The Friendly Cashew'. Put simply, it combines cachaça and the juice of cashew nuts. Get the recipe here. This devilishly delicious concoction is sweet and creamy to taste if a little on the strong side. It mixes cachaça (or vodka), condensed milk, cinnamon, honey, and a tropical berry which boasts energising effects. If you're feeling extra indulgent, drop a scoop of chocolate powder in for good measure. Get the recipe here. These smoothie-like cocktails are filled with fruity goodness which will make you feel less guilty about hitting the bottle. The variations are endless so it's the perfect choice for mixologist enthusiasts. Get the recipe here. If you've learned one thing from this article it's that the Caipirinha is hella versatile. Why not throw in a cup of mango juice and passion fruit slices to garnish for a fresh fruity variety? Get the recipe here. 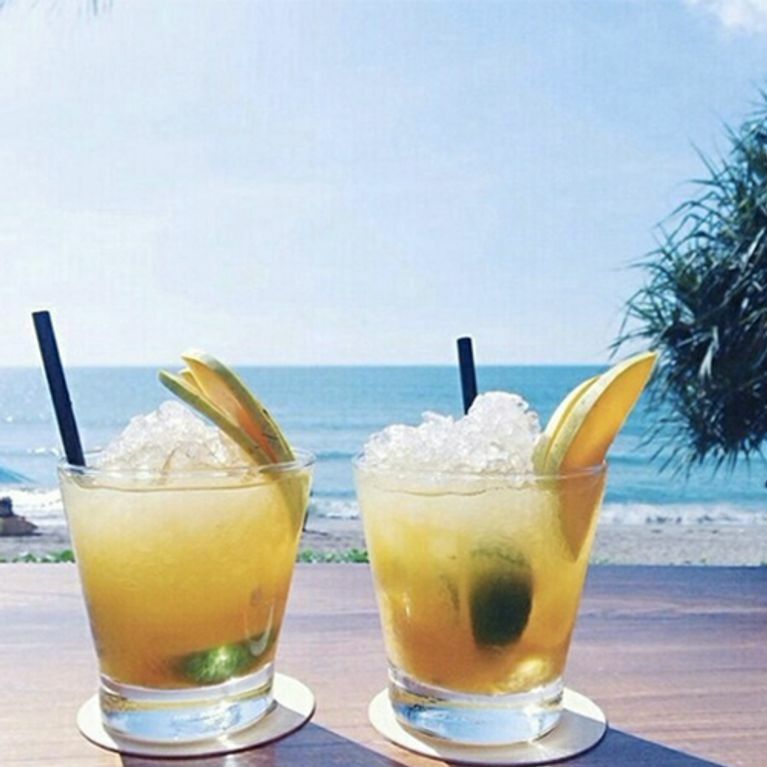 Which one of these delicious drinks will you be trying out during Rio 2016? Let us know @SofeminineUK!